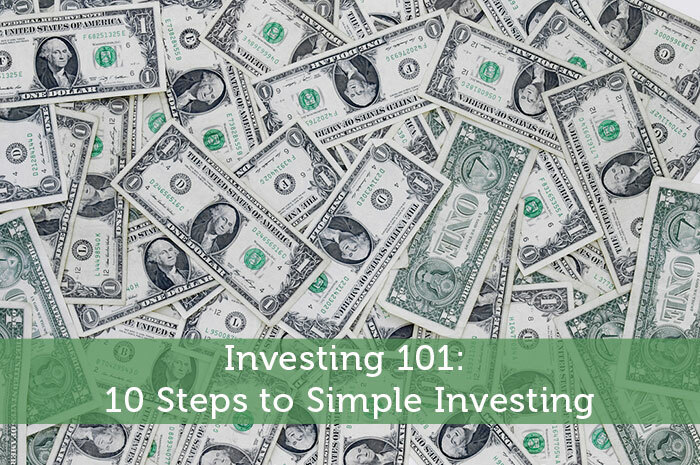 This post will help de-mystify investing and get you started on the right foot. This is the fundamentals. As you and your investments grow, you can increase your knowledge or take advantage of experts who can manage your money for you, but not be taken advantage of by experts. Below are 10 simple ways to start investing. We hope our 20+ combined years in finance helps you as it has us. You can open an Individual Retirement Account (IRA) and/or brokerage account online as easily as you can create a Facebook account. We have set up online accounts during lunch breaks, it’s that simple. All you need is your Social Security Number, home address and maybe banking information. Many online brokerage firms offer accounts with no minimum balance requirements and no fees. With that ease and convenience, there is no reason to not at least open an account. If you do, you’re more inclined to invest at least some money and that makes your money work for you. Once you’ve opened your online IRA and/or brokerage account(s), fund them electronically. Many employers offer direct deposit, which automatically puts some or all of your paycheck into the account(s) of your choice. If that’s not an option, set up electronic funds transfer (EFT) or automatic clearing house (ACH) transfers to move money from your bank into your online IRA and/or brokerage account(s). Have the routing number and account number of your bank account. You can find them on your banks’ website or at the bottom of your checks from a checking account. All these options can be set up to happen automatically. They’re swift, simple and safe options to make sure you always pay yourself first. You don’t have to pay expensive fees to have a financial advisor invest your money. All online brokerage firms offer no load, low and no-fee index mutual funds. Index mutual funds simply track pre-established market indices, such as the S&P 500 for large company stocks and the Russell 2000 for small company stock. Because the stock market dictates how these mutual funds perform, they require little maintenance and, therefore, low fees. Expensive advisors often struggle to beat these indices, so don’t pay more for less. Look for funds that don’t have a “front-end” or “back-end load”, look for free or cheap commissions and low annual operating expense ratios (EOR) to manage the index funds. This ensures that more of your money stays with you. All of this information can be easily found on your brokerage firm’s website. Diversify the investments in your online account(s) among large cap, small cap, international and fixed income index mutual funds and cash. This strategy reduces your risk and increases your benefits. There are a number of online resources to help determine your specific mutual fund allocation. For the purpose of this post, think of these asset classes as on a continuum. The more aggressive you are, the more types of investments you should have towards the right side of the continuum or towards micro-cap and commodity investments. The more conservative you are, the more types of investments you should have towards the left side of the continuum or towards the government bonds and certificate of deposits. Most mutual funds have minimum initial purchase requirements. If it will take you a while to meet the minimum initial purchase requirements for three to six different mutual funds, purchase one asset allocation mutual fund. An asset allocation mutual fund is a mutual fund of mutual funds. The exact mix of an asset allocation fund is determined by how aggressive or conservative of an investor you are. After this one mutual fund grows large enough from market growth and your regular contributions, you can begin to sell portions of it to buy the mutual funds that specialize in the asset classes mentioned earlier. To avoid fees, make sure you meet any minimum holding period requirements, often charged as short-term redemption fees or STRs. Once you’ve set up automatic contributions into your online account(s) and purchased your initial mutual fund(s), set up automatic investing, typically called AIP for Automatic Investing Program, into your mutual fund(s). The minimum AIP amount, after the initial minimum purchase requirement is made, is usually $100. This mutual fund feature lets investors take advantage of one of the money magic tricks; dollar cost averaging. Studies show that ongoing, regular investment contributions over time let investors pay less per mutual fund share than if they purchased on their own accord, trying to time the market. Many employers offer an employer sponsored retirement account, usually a 401(k), 403(b), SEP or SIMPLE IRA. These accounts let employees contribute pre-tax dollars from their paycheck into pre-approved investments, usually mutual funds. The benefits are twofold. First, this decreases your taxable income, unless it’s a Roth IRA. Second, this lets you invest money tax-deferred, meaning you won’t pay taxes on the growth until it’s withdrawn. For Roth accounts you pay taxes up front, but won’t pay taxes when it’s withdrawn in the future. If you don’t withdraw it until you’re retired and you are at least 59 1/2 years old, you will likely pay fewer taxes on the earnings than you will today because you will likely be in a lower income tax bracket. Contributions to employer sponsored retirement accounts are, also, automatic and many employers match employee contributions up to a certain dollar amount. This, essentially, increases your income. Many employers offer an employer sponsored Health Savings Account (HSA), as part of their healthcare plan. As with an employer sponsored retirement account, contributions to a HSA account are pre-tax and automatic. This, also, reduces your taxable income and lets your money grow tax deferred. The main difference with this account is that withdrawals are also tax free for qualified medical expenses. Many plans let you invest in a HSA account just as you would in an IRA account, though with less flexibility, when you meet a certain minimum. Before you buy investments inside a HSA account, however, make sure you have enough cash to cover your healthcare expenses. We should invest for the long-term and we often can’t predict when we’ll need money to cover medical needs. Contributions into a HSA account are automatic and many employers will match employee contributions up to a certain amount. This, too, increases your income. Many employers that offer the two employer sponsored accounts mentioned above also offer automatic annual increases for those accounts. This lets you set pre-determined annual increases. Many employees receive annual cost of living adjustments and/or merit increases. This feature lets your contributions keep up with your wages and lets you control your standard of living. For example you can increase your contribution by 1 percent every June, or by whatever amount you choose. We suggest you schedule this for around the time you have your annual review, which will help you not see the increase in your paycheck, but in your retirement account. Open an account at a bank, credit union or online brokerage firm with no features other than the ability to invest in a money market mutual fund. Don’t sign up for a debit or credit card that’s tied to the account, decline bill pay and EFT capability. This money should be hard to access. Set up direct deposit from your employer or one-way EFTs into this account from another bank account to make regular contributions. Contribute enough until you have three to six months worth of living expenses in this account. This will protect you in case anything unexpected should happen. American families aren’t saving for their kid’s post-secondary education. Open a 529 Plan for your children to financially prepare them for the high cost of a post-secondary education. Read more about 529 Plans here and for more information about financial preparation for post-secondary education buy the #MoneyConscious Student. Contributions or gifts into UTMA or UGMA accounts can financially prepare your children for adulthood, but be careful. Once a child reaches the age of majority as dictated by their state of residence, the money in these accounts is theirs and they can spend it how they wish, contrary to a 529 Plan. For more information on these accounts, read our post on UTMAs. Hopefully we knocked down a few investing barriers for you. Get started today! Even with just $25 or $50 a month, you will build up a balance and gain experience. As with riding a bike, you will get the hang of it and eventually cruise along. We suggest starting with an employer sponsored retirement plan first, as much of the work is done for you. Then start a Personal Insurance Account. This prepares you for the unexpected. After that, the sky’s the limit. You will not become rich overnight, but you will build confidence and accumulate investments to prepare you for your future. If you enjoyed this posts check out out other Investing 101 posts!